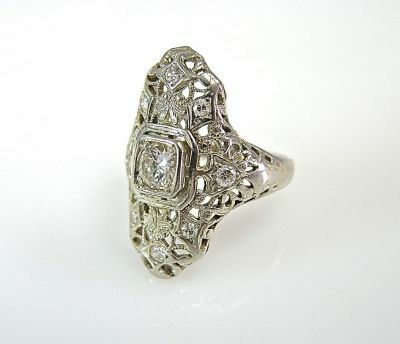 One 18 karat white gold Edwardian Ring. One old European cut diamond (0.27 carats: VS1 clarity: H-I colour). Six single cut diamonds (0.09 carats: VS clarity: H-I colour). Two old European cut diamonds (0.08 carats: VS clarity: H-I colour).